Escape from the labyrinth! 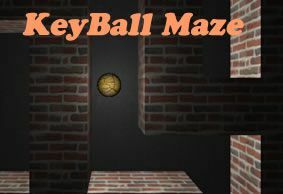 Guide the ball through maze with extended home row keys ASDF JKL EI. Use one or both hands to find a way out. 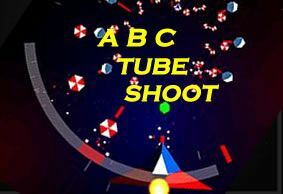 Simple addictive game. Eat and avoid being eaten! 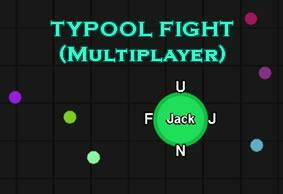 TyPool is a variant of addictive multiplayer game where you eat smaller ones to grow. Control your ball with homerow keys! Drop Crates on top of each other to make a sky high tower. 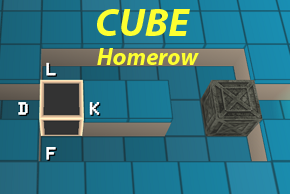 Type the key or sequence shown in the crate to drop it. Pick keys to practice from Control Keys. Type For Your Life and Escape the rooms! 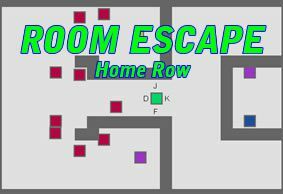 Run all 20 challenging rooms and solve puzzles e.g. 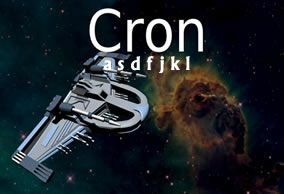 teleports and locks. 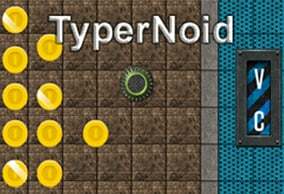 Do you like Nitro Typing Race Games? Race against time by writing easy words! 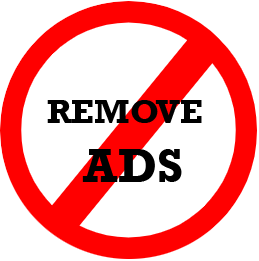 Earn $ to buy cool racing cars. Hit space to launch nitro type boost and jump over other cars. 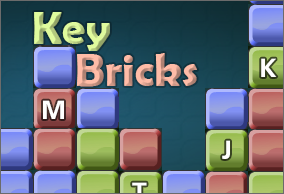 Press a key outside the square to move all tiles to chosen direction. Two equal tiles are merged if they collide. 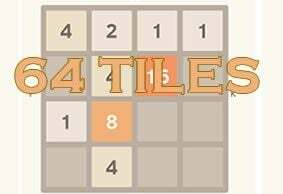 The goal is to make a tile 64. 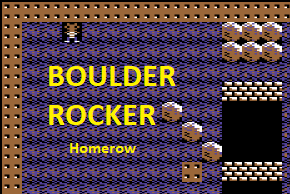 Boulder Rocker is a classic arcade variant from 1984. 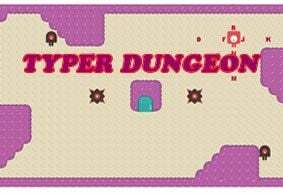 Your underground mission is to chase diamonds and activate the exit door. Watch out rocks! Remove groups of bricks of the same color until they are all gone. Very relaxing game, no hurry at all. Pick control keys to practice. Keys change after every key hit. 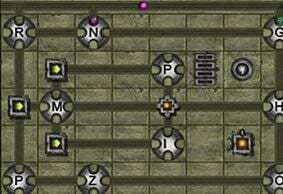 Escape from Dungeon - Fancy logic adventure game where control keys will move both you and enemies. Train both middle and forefinger keys DFJK ER NM. 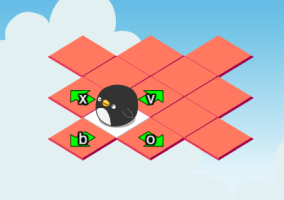 Avoid enemies and help this little penquin through each level step by step. Do you like to Jump'n' Run? This time you try to reach the top of the tower. Just avoid enemies and collect all coins. 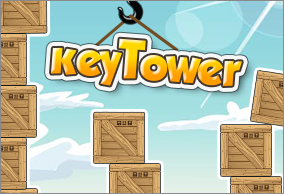 Play with keys SDFJKLEI and hit space to jump. 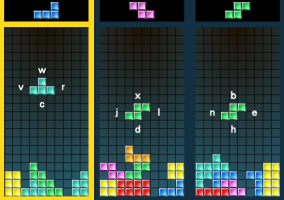 Your goal is to control the falling blocks with keyboard in this variant of classic tile-matching puzzle video game. 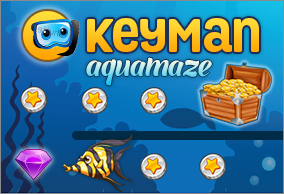 Deep below the ocean's surface lies an infinite bounty of treasure, danger and adventure. 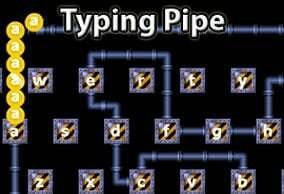 Are you a fast enough typer to explore it all in Keyman? Move the paddle with keys A-Z and keep the ball going in this classic arcade game variant. 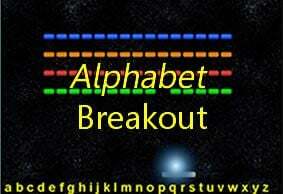 Alphabet Breakout makes sure you learn the whole keyboard. 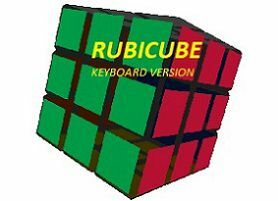 Play the world's top-selling 3-d puzzle game with your keyboard! Choose level with Enter. Classic ball-and-paddle game where you collect coins with a ball by pressing two keys appearing in the paddle. 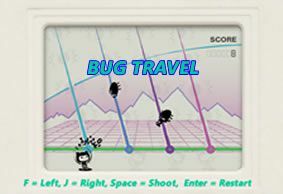 The bug invaders are coming to attack you, your mission is to prevent bugs conquering the land. Keep your index fingers on keys F and J while playing.